As you venture into residential real estate investments, it’s better to plan how you’ll manage the property sooner than later. You can go it alone with a core group of skilled subcontractors, or turn it over to the professionals who specialize in turnkey rentals. Which you choose could be a matter of preference, or it could be a decision based on necessity. You may be too far away to handle the little things, or don’t have the skills the job takes. .
Investors who own and manage their own properties will eventually need the services of the many disciplines involved in real estate. Building a real estate investing team with qualified, professional people who can maintain your home and support your investment is critical to your success as an investor. 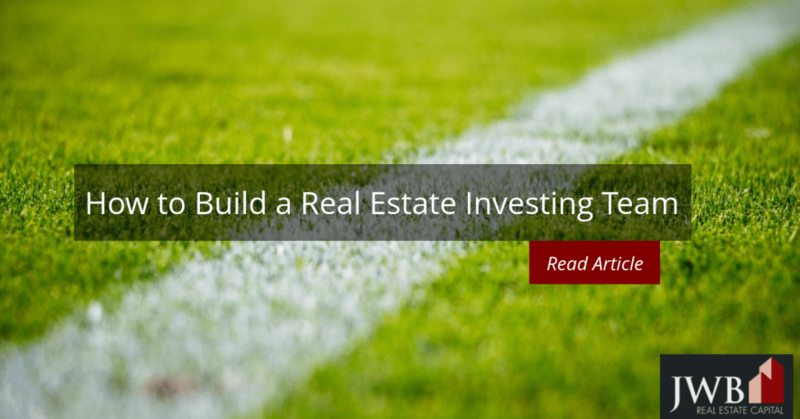 Finding your team and managing the relationships can easily be one of the most time-consuming parts of being a real estate investor. Those who opt to use turnkey management professionals have each of these services available on an as-needed basis, which can ease the burden. Real estate agent. Every investor needs a trusted real estate agent to find properties and take care of the details of acquisition. Buying a home involves considerable paperwork and the agent will handle and coordinate most of it with the lawyer, accountant and insurance agent. Bookkeeper and accountant. Once purchased, you’ll need to keep meticulous records of all the expenses for tax purposes. A CPA will take the records to prepare the taxes for the venture. Leasing manager. They process the lease applications that include a credit and background check, showing the property, drawing up lease agreements and handling property inspections. Skilled trades. First and foremost, you’ll need a dependable handyman with a broad skill set to keep the home in good operational condition. Stuck doors, windows and dripping faucets happen and someone other than the tenant has to fix them. Some home maintenance and repair situations require a licensed contractor, like electrical and heating and cooling problems. Yard and pool services. Unless the tenant or HOA does the work, you’ll have to find a yard service to keep the property looking good. If there’s a swimming pool, it makes sense to hire a pool company to keep it clean. House cleaning. When the tenant moves out, a cleaning crew will have to clean and sanitize the home. Online resources like Angie’s List and HomeAdvisor. BiggerPockets.com is a social network of fellow real estate investors where others in the area can help you find the services you need. Craigslist.org has an extensive list of skilled labor providers. When using this resource, be sure you check their references and Florida’s Department of Business and Professional Regulation (DBPR) for current licensing, insurance and bonding, as well as the BBB’s website. Word of mouth. Friends, neighbors, co-workers and family might be good sources for recommendations. When you use professional property managers, you put as much responsibility as you need for the property in their hands. They specialize in acquisition, leasing, and maintenance. They use a cadre of trusted resources for each aspect of the properties they manage. Not only do they save time, they make it possible to own property in locations far from home. Even if you live nearby, you won’t have to search for someone to help you with any aspect of investment properties. Most turnkey property management groups let you choose what services you’d like them to provide, and which you can assume yourself. Many investors take advantage of their acquisition and leasing skills, since both require judgments best made from intuition and real life experience.